Janitorial services with True Clean Experience is different. We are a locally owned company founded by a US Army Veteran, Tanisha Pridgen. 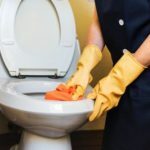 Her time in the Army and the subsequent 5 years of experience in the housecleaning industry make her a leader who knows how to organize and get jobs done. We live in, know and love the communities we serve here in North Carolina, unlike many of the chain janitorial services in our area. Here is what we mean by giving you the True Clean Experience. You can expect our team to be highly trained. They know how to get your offices or facility sparkly clean. We only use the highest quality products so your kitchens, bathroom, and offices look perfect and smell great. We do not take shortcuts in our work. We may have started as a housecleaning business, but we are now North Carolina’s premier commercial and janitorial services. We know every business is different, so we take the time to sit down with you, discuss your needs, and the present you with a customized plan for your janitorial needs. Tanisha’s Army background is a cornerstone of our business. Everyone knows how important cleanliness is in the military. That attitude is one of our trademarks. We expect our teams to leave your facility military clean. We may not stop in to do the white-glove inspection, but we are confident our team will have your location clean enough to pass. Another attitude we believe strongly in is privacy and ethics. Our entire team knows you are entrusting us to keep anything we see in your offices to ourselves, and we do. Do you have special janitorial challenges? We have never met any dirt we cannot defeat. Just let us know what kind of problems you have and we will show you how we can conquer it. TCE has become known as the top house cleaning and commercial cleaners in the area. If you give us a try, you will quickly see why. We take the job of making your business sparkle seriously. We want to make sure finding dust on your blinds is a thing of the past. Your bathrooms should smell great every day. Your floors should be dirt and stain free. We can make it happen. 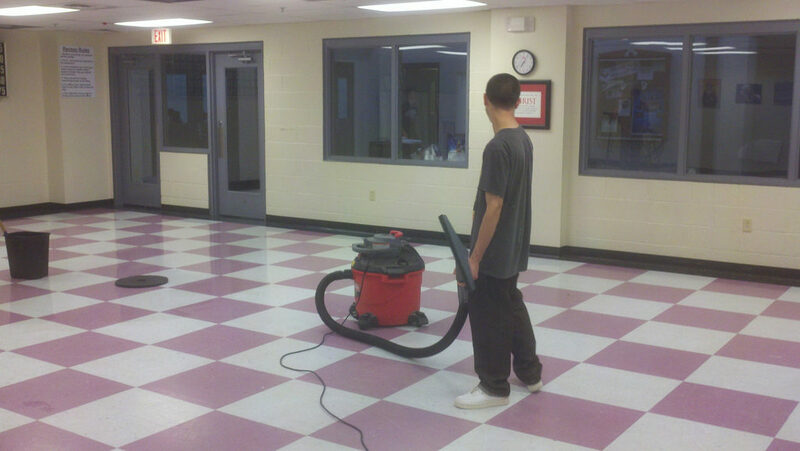 Our janitorial services can eliminate your worries about keeping your facility clean. We can take care of everything. We can empty the trashcans, eliminate dust, dirt, and allergens. We can make your hard surface sparkle. We will make sure you are proud of the way your facility looks every time you take a guest on a tour. Would you like to know more about how our janitorial services can help your business? Give us a call. We would enjoy visiting with you and hearing about your cleaning concerns. We are confident we can take care of your facility and do it a price you will appreciate. Instead of taking our word on our quality, we invite you to read all of the reviews we have from satisfied clients in North Carolina.